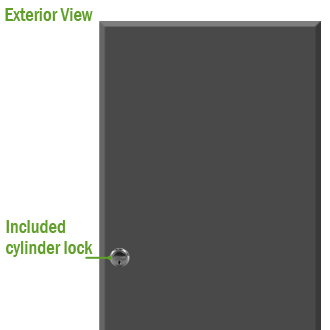 • Glass doors with a stile (metal frame) of at least 1 1/2" or 4" if using outside access such as handles or the cylinder lock. • Doors that require UL rating. • Doors that need a secure method of dogging . 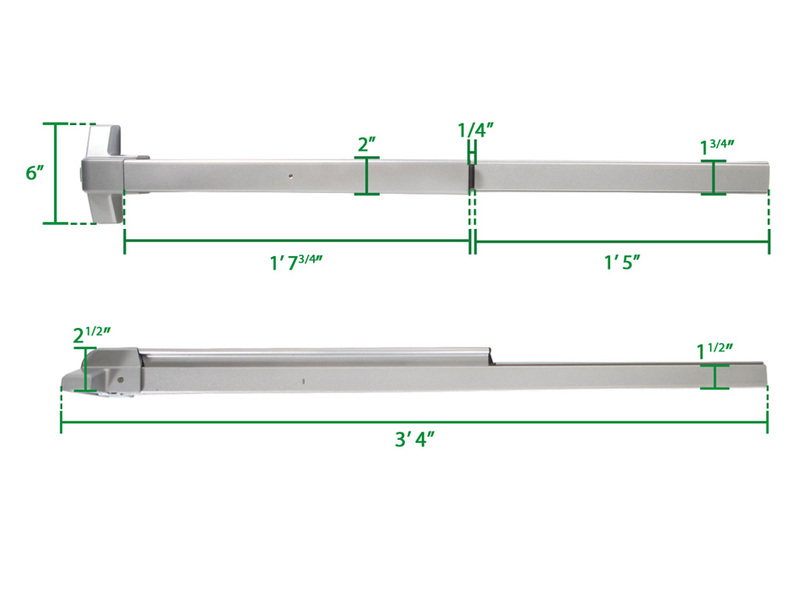 The bar comes 40 3/4” in total length, including the latch bar. 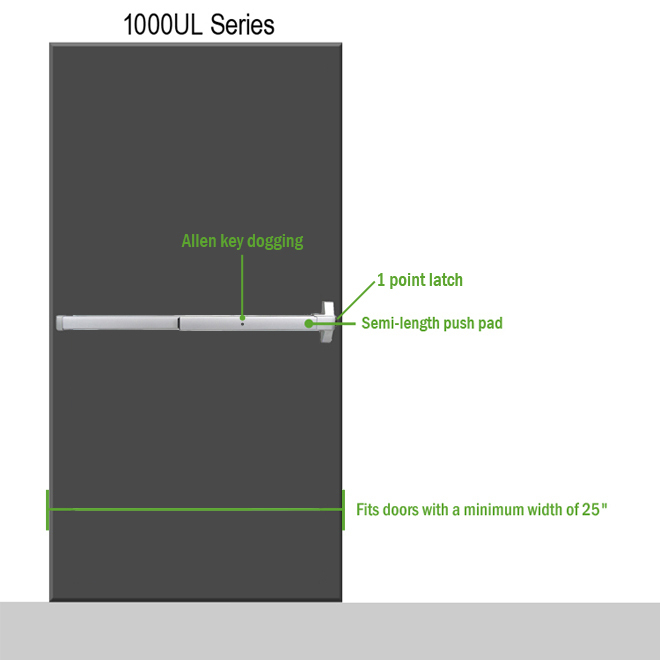 If you are not including the measurement of the latch bar, the 1000 UL Series is 40 1/16". 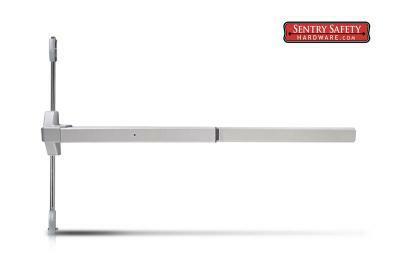 The bar does not have to span the entire door if the door is a flat surface, so the door can be longer than 40 3/4”. If the bar needs to be shortened, this is easily done. 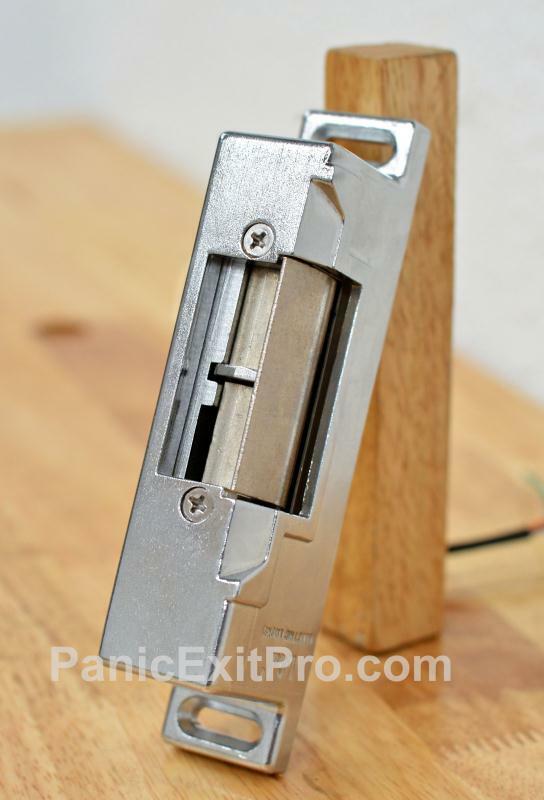 The part of the panic exit bar that is past the push pad is hollow tubing. Simply cut the hollow tubing to the length needed and put the cap on the end of the bar. 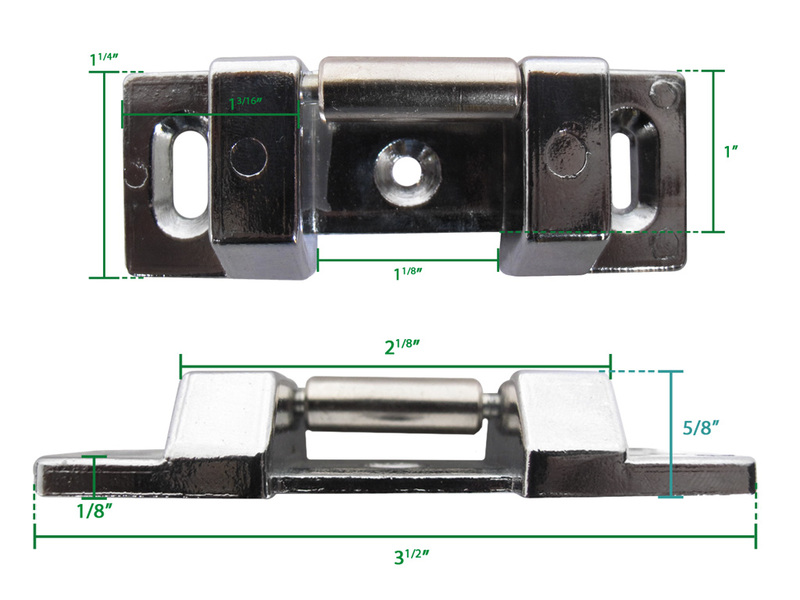 This panic bar can be cut down to 24” including the latch bar (if you are not measuring from the latch bar you can cut down to 23 1/4"). This panic bar is equipped with Allen key dogging . 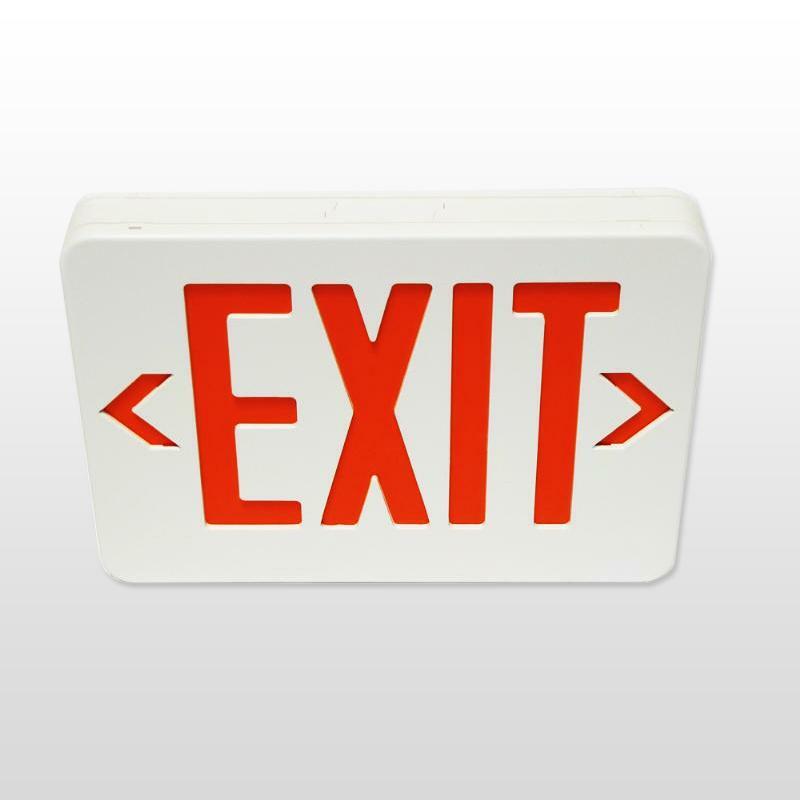 Dogging is a method of leaving the panic exit bar unlatched for free entry to through the door. 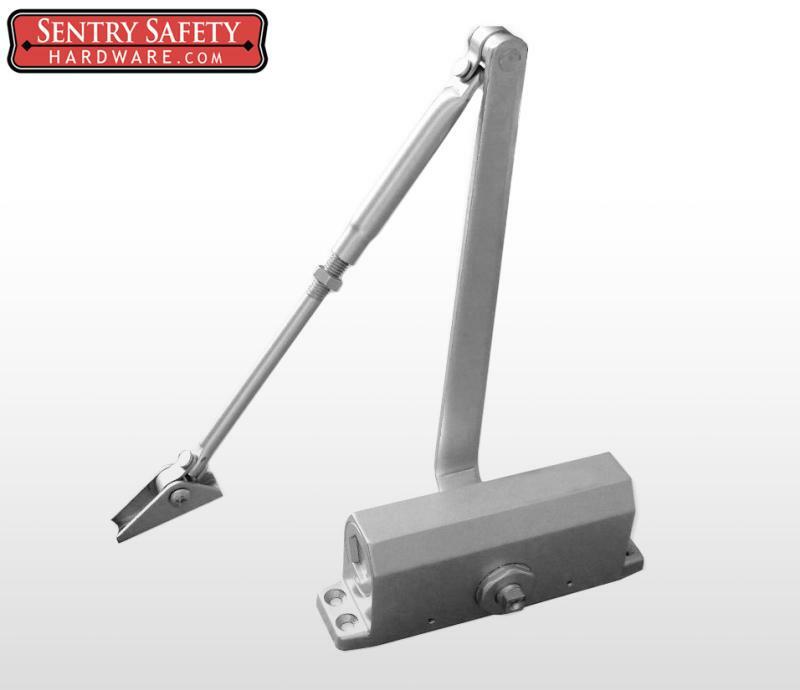 Allen key dogging is a secure method of unlatching the panic exit bar. 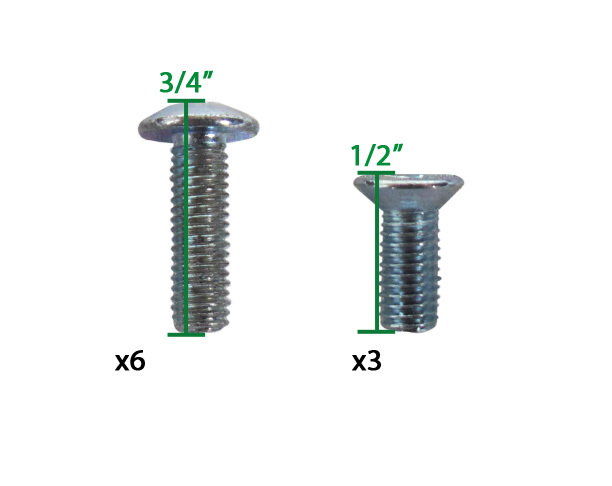 Although an Allen key is a common tool it is something most individuals would not have on them. With the alternate method of dogging , knob dogging , anyone can walk up and flip the knob and the panic bar would be unlocked. 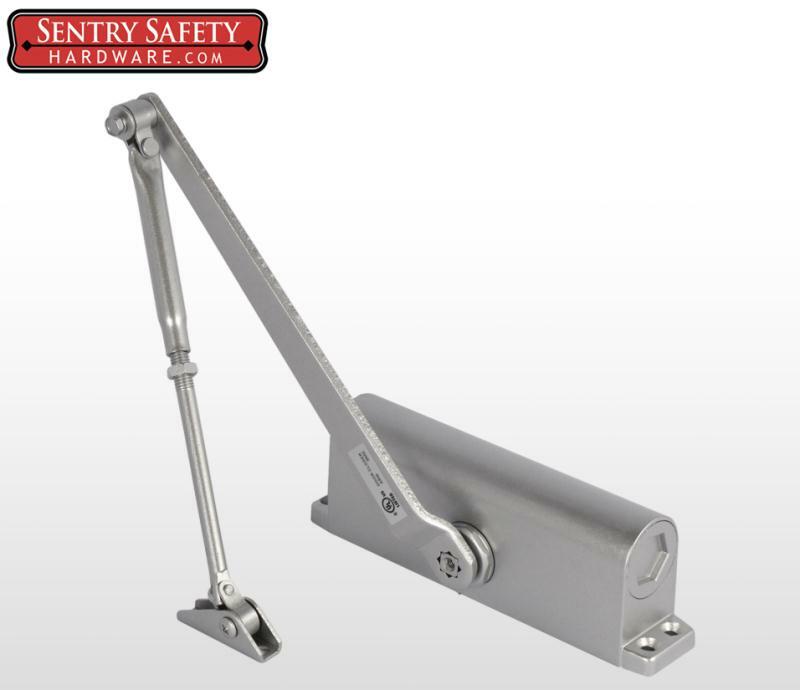 When the Allen key is inserted and turn the latch on the end of the panic bar is retracted and held retracted until the key is turned back again. 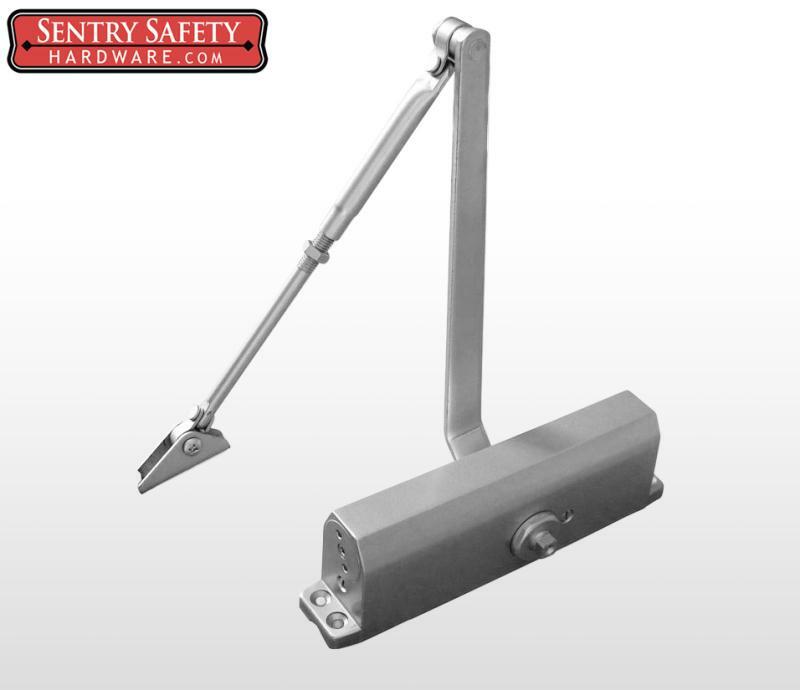 This panic bar comes with an exterior cylinder for releasing the panic bar from the outside. There is a drop down option to receive a keyed alike cylinder for the painted version of this series. 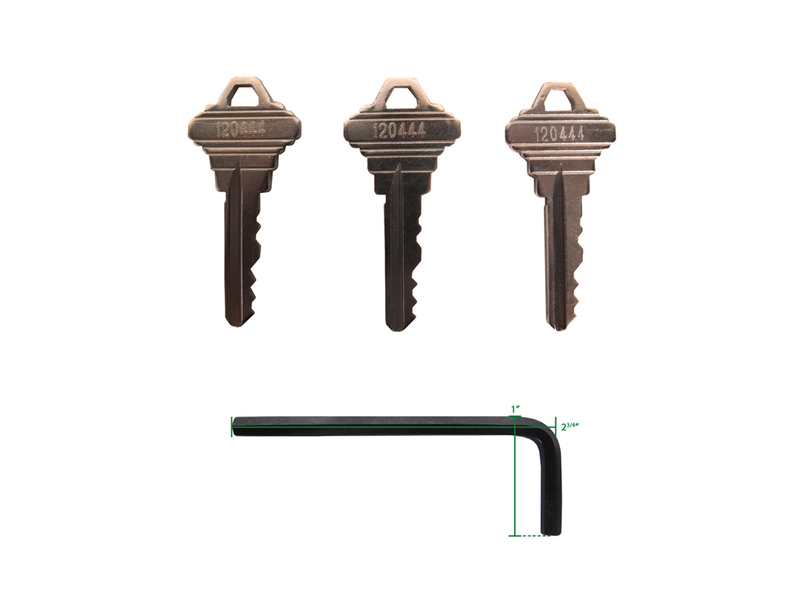 Keyed alike would allow multiple panic exit bars to be opened with a single key. 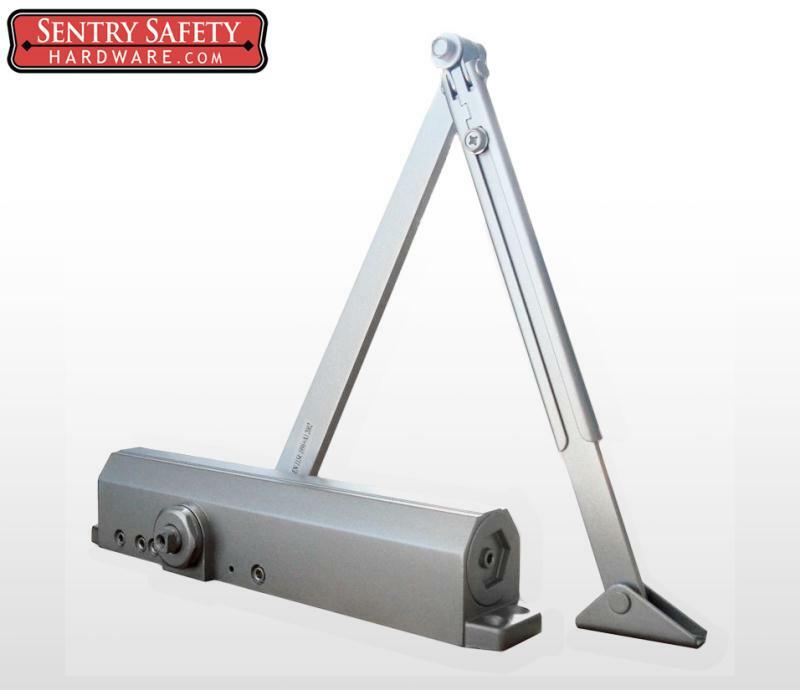 If purchased otherwise all panic exit bars will have their own key. The key release from the outside is just a momentary release. 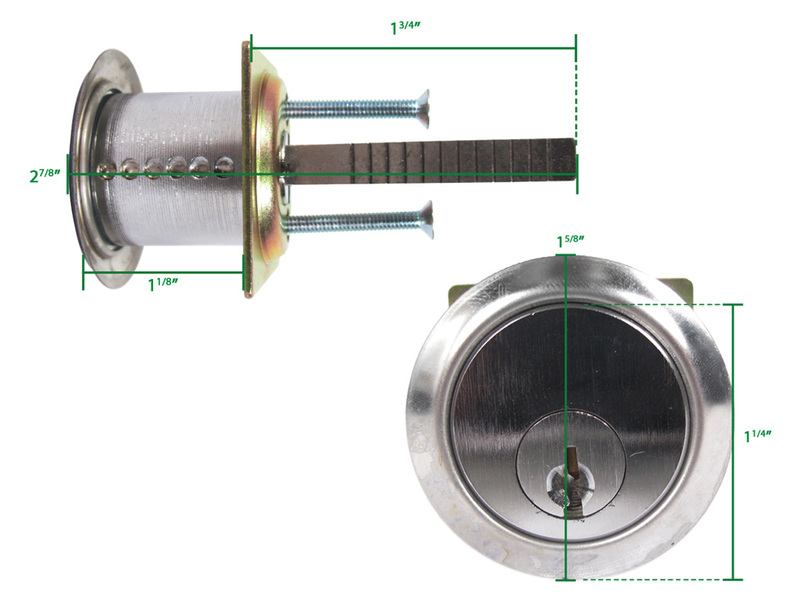 The turn of the key does not dog the door, the panic bar is spring loaded and returns to the locked state when the key is removed. 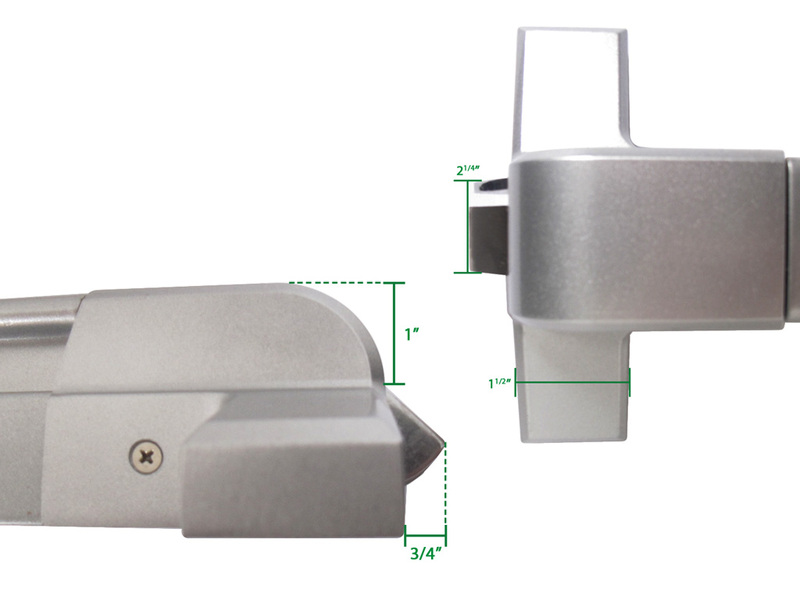 Outside door handle with key release. 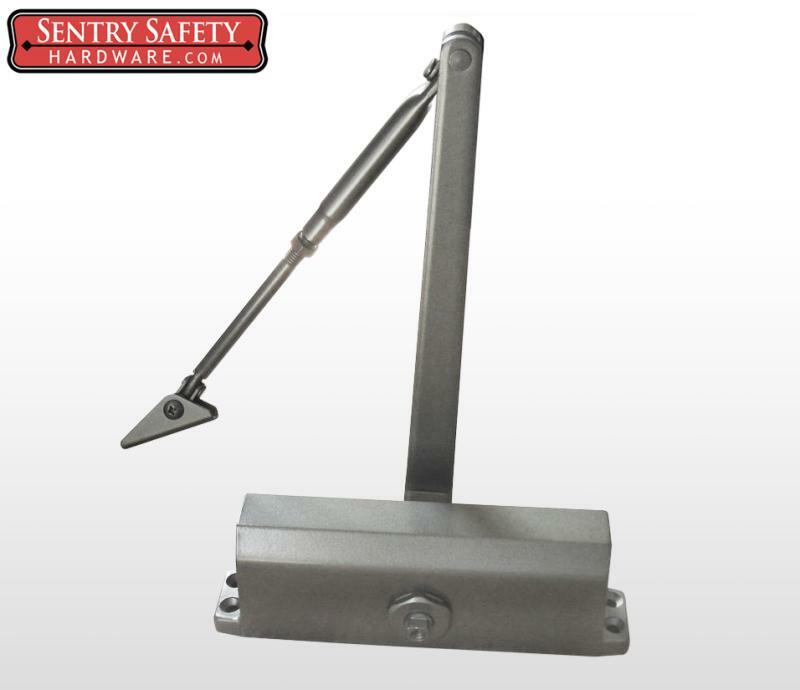 If you need access from outside you must buy this accessory or the door will only be able to be opened from the inside using the panic bar. The handle is key lockable. 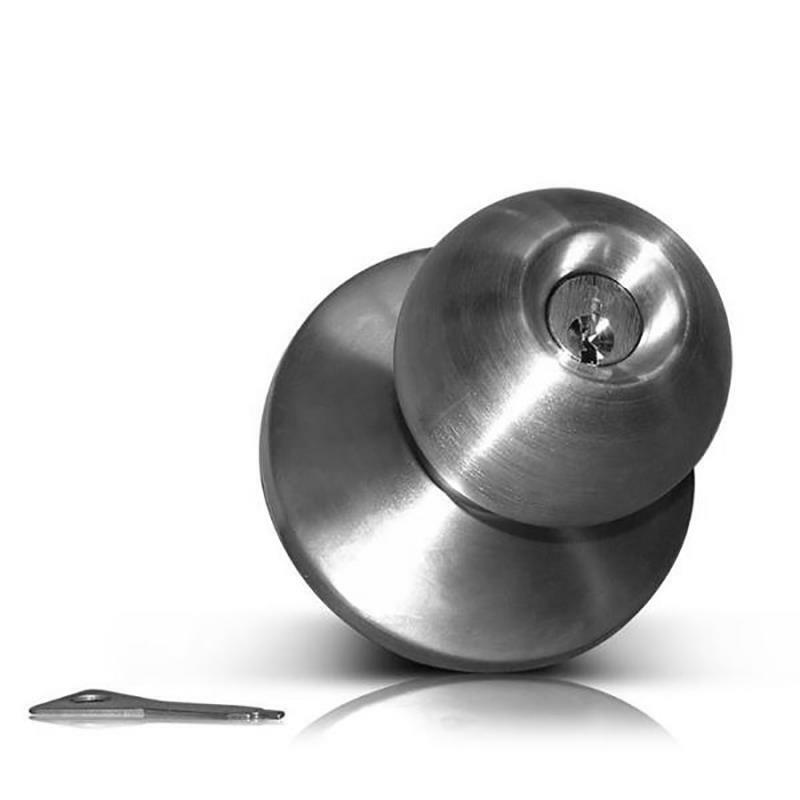 The key is a non-momentary release, if you unlock the door on the outside to operate the handle you must then relock the door in order for the handle to not open the door. Some keys you can turn and they are spring loaded to return to locked position however this is not one of them. The key will not disengage the panic bar, only engage or disengage the handle, which then the handle disengages the panic bar. 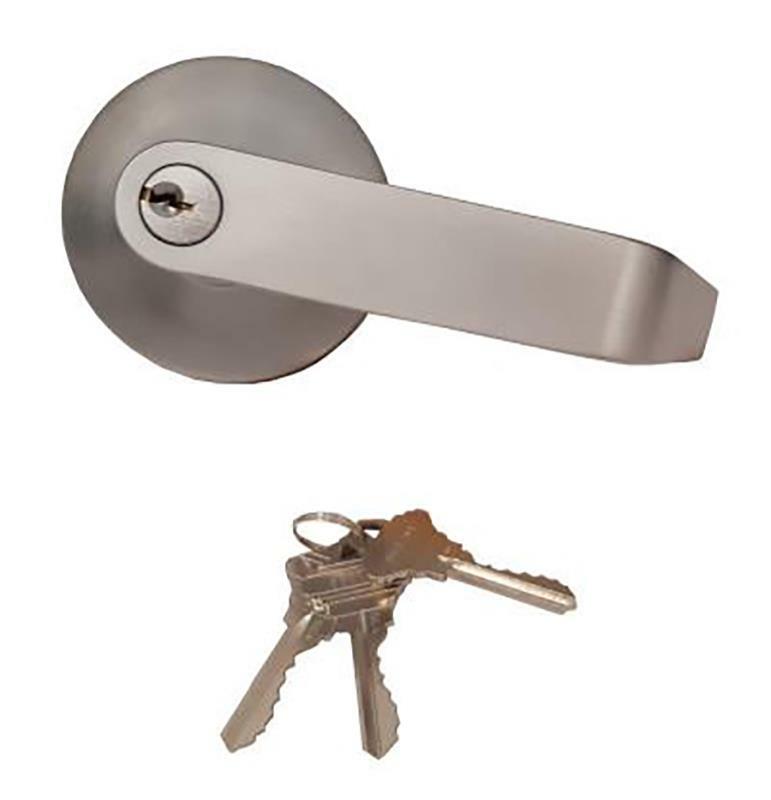 The keyed lever handle is available in keyed alike. 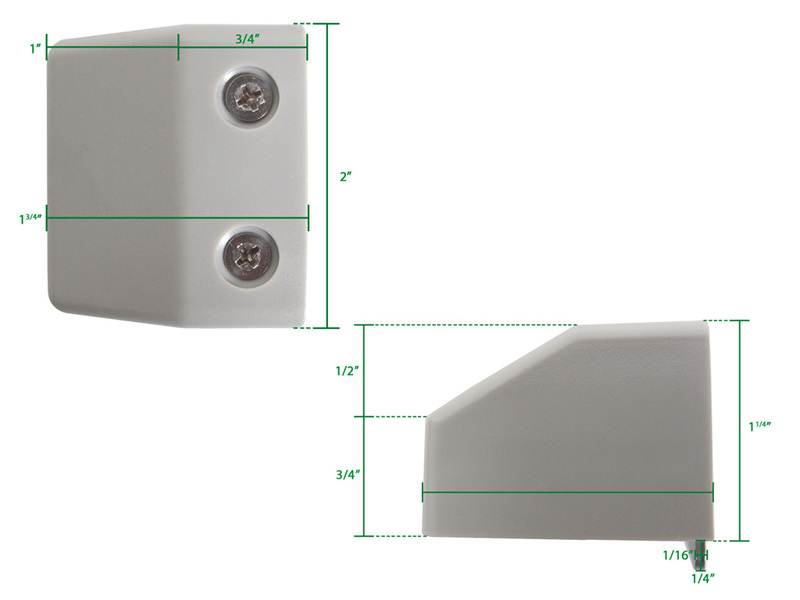 Surface Mounted Electric Strike . 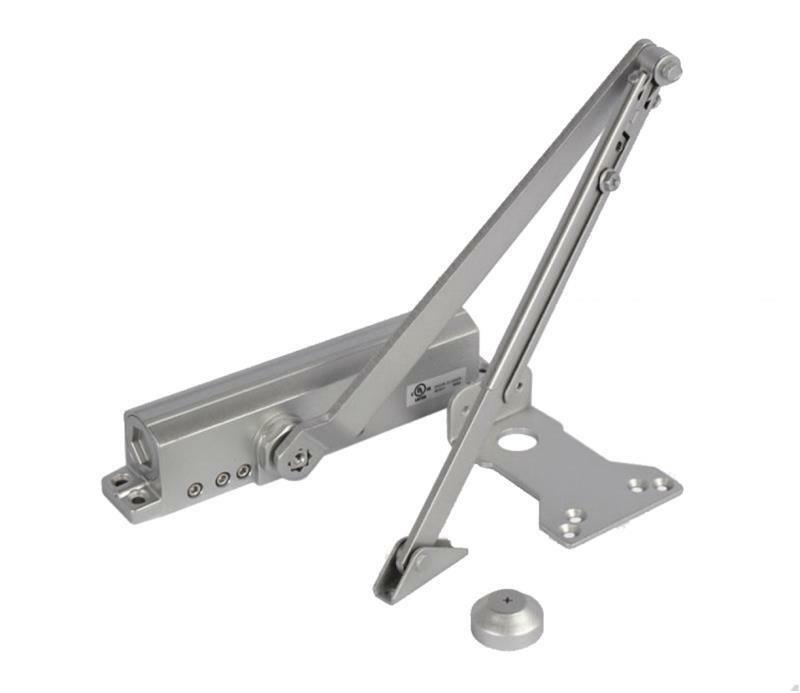 This is another method for releasing the door from outside or from a remote location. 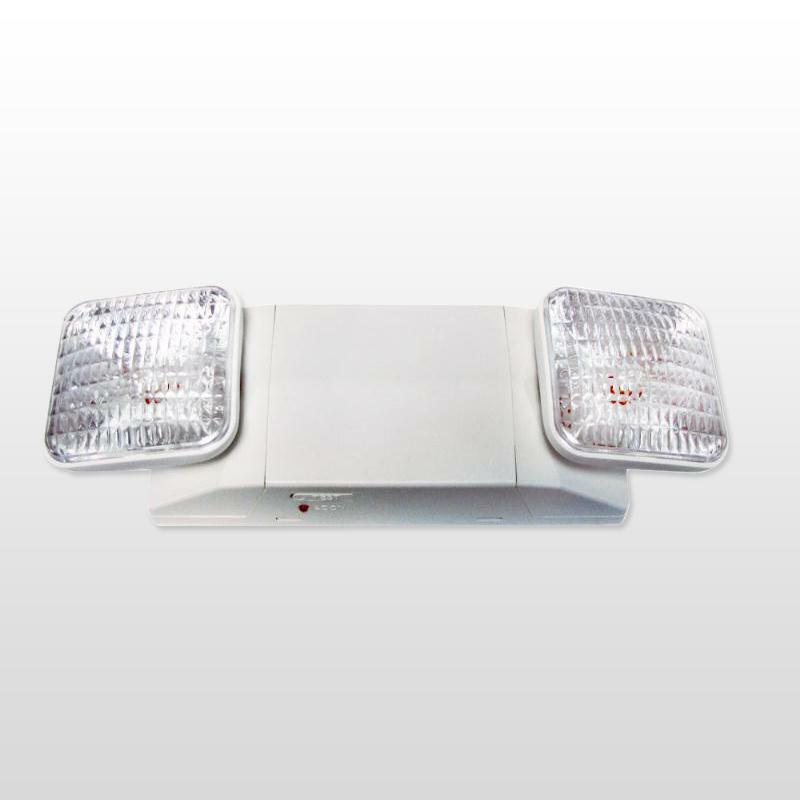 The electric strike replaces the provided mechanical strike . When the electric strike is not being triggered the panic bar engages it the same as it would a mechanical strike . 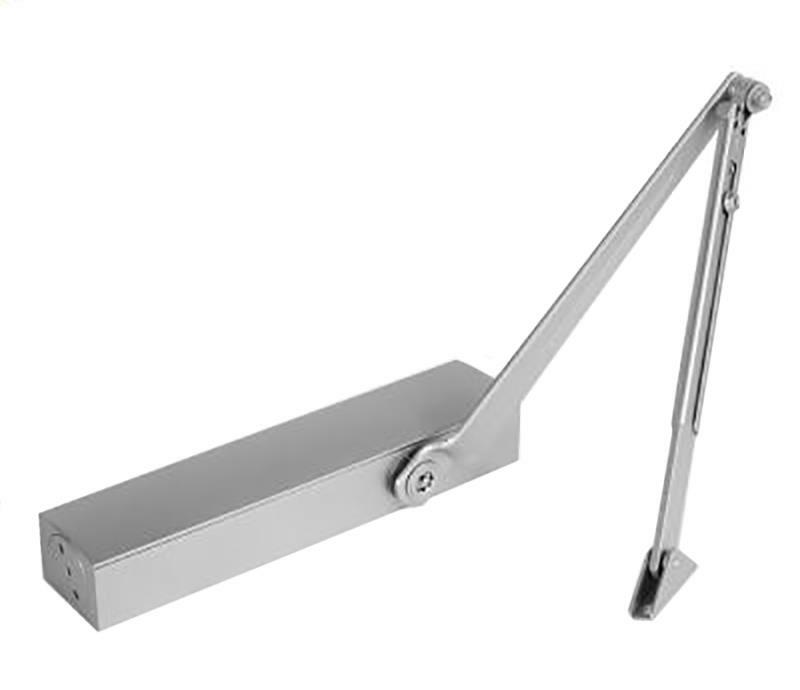 However when you trigger the electric strike with an access device the door can then be pulled open from the outside. An access device can be a keypad, a card reader, an intercom, a desk push button, a receiver/remote control or even a GSM cell phone receiver. 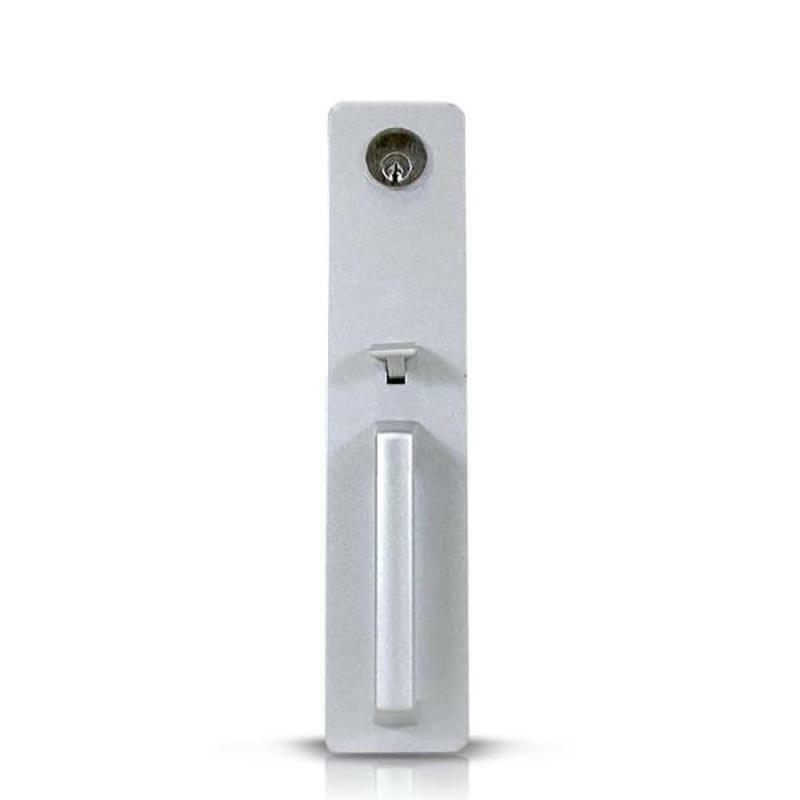 Keep in mind if you purchase the electric strike you will also require a pull handle for the outside of the door and access devices.